Acting successfully on subtle levels generally requires a great effort of sustained, focused attention, as well as knowledge of the energy field that binds everything in existence. When Mars in Scorpio trines Neptune in Pisces on August 7th, the Jedi Knight in all of us may be put into action. This fluid aspect offers up The Force for use in selfless acts of assertion that require a psychic edge, as well as physical activities that put one in a state of higher consciousness such as yoga and tai chi. Fortunately the Mars/Neptune energy will still be in effect giving us spiritual strength as a dynamic series of aspects between the Sun, Mercury, Saturn and Uranus unfold over a 24-hour period August 8th – 9th. The Sun and Mercury again activate the ongoing Saturn/Uranus quincunx discussed in the last two AstroCasts, but this time they do so as they meet up in the Superior Conjunction in Leo. This is the “Full Moon” point of the Mercury cycle in relation to the Sun and represents a culmination of the themes present since the Inferior Conjunction on June 19th. The Saturn/Uranus quincunx was active at that time as well, less than a degree and a half and tightening. The moment of the Superior Conjunction may finally bring insight into some of the stressors operating in our lives due to conflicting energies that we allow to operate simply by ignoring them. We may then discover how to bring out the best of Saturn (structure and stability) and Uranus (innovation and growth) with balance. Archetypally, they both have significant purpose in shaping our individual profiles and if we favor one over the other that can cause chaos. For an example of the consequences of these archetypes out of balance, think of Hal in 2001: A Space Odyssey and his innovative technology run amuck without any consideration for the needs of the human beings he was created to serve; or Stalin who created a revolution to overthrew a tyrannical system only to replace it with his own brand of oppressive, rigid and restrictive structures. With the Sun and Mercury in Leo, may we find extraordinary strength of heart to find solutions that incorporate the contradictory forces of Saturn and Uranus. In the process, we may discover how to gain authority over the rebel in us and also design a workable rule set for the revolutionary side of our nature that requires freedom but still needs practical structures from which to operate on this planet. On August 10th, the potent Aquarian Supermoon (a Full Moon at its closest to Earth) joins the configuration challenging us to face our fears and be open to change. At the time of the Moon’s opposition to the Sun in Leo, they both align with Saturn in Scorpio in a tight T-square alignment that demands us to truly show up for, and remain present with, whatever needs attention in our lives. Saturn’s presence between the aloof Aquarian Moon and the showy Leonian Sun sets a serious yet passionate tone that compels us to identify our highest priorities and make a commitment to allocate the limited resources at hand to that which is most important. The Full Moon also aligns with Uranus in Aries, which infuses the creative energy of the Sun and the Moon’s need for collaboration with innovation, adding a sense of excitement, or perhaps the unexpected. The Sun in Leo represents the single point of light that is the unique gift each of us brings to this life. His strong vitality becomes pure heart in the play of life. The Moon in Aquarius represents the network of those individual lights that contributes to the evolution of the larger consciousness system. As this Full Moon unfolds may we add our light to the sum of light and know that we each have a purpose to fulfill – we do indeed matter, but what doesn’t matter is if we don’t fully understand just what our purpose is. Whether we are on stage one moment or in the audience the next, we just have to show up and play our part. That shouldn’t pose a problem when Venus enters Leo on August 12th. Always the showgirl, Venus in this fixed fire sign wears her mane proudly as she professes ardent love for Other. In Leo, Venus’ romantic soul is a queen looking for her king. In order to attract the highest form of noble love, however, Venus needs to become that which she desires, to respect Other as Other and not be dependent on Other’s approval for her own self-respect. As she expresses the magnanimous love within her own breast she will recognize the royal love attending on her every heartbeat. Mars, still in spiritual warrior mode with his now waning aspect to Neptune, segues into a sextile to Pluto in Capricorn that becomes exact on August 15th. This Jedi Knight is now equipped with power tools to act swiftly, efficiently and with minimal effort but with maximum force. Around six hours later Mercury enters his second home sign of Virgo to clear our minds of clutter so we can easily glean the essential elements of that which we perceive. Mercury in Virgo, brings a mastery of distillation to his way of perceiving, analyzing data and quickly synthesizing it down to its essence. The quintessential preciseness of Mercury’s thinking here can keep him from getting bogged down in details, as long as he doesn’t allow his perceptions to become over complicated. If he can manage that, his way of seeing will remain incorruptible. 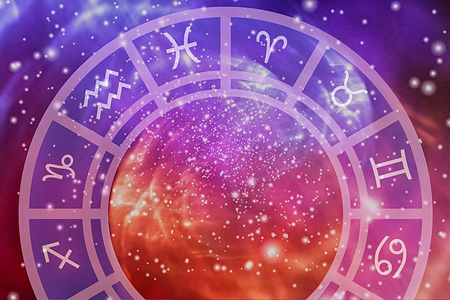 The joy of love is in the air on August 17th when Venus conjuncts Jupiter in Leo. Igniting hearts in a bonfire of loving expression, this romantic duet will inspire us to express the bounteousness of spirit and may bring out a heightened sense of playfulness. The only drawback to this aspect is that under its influence we may overindulge in the good life, not admitting to ourselves when enough is enough. Hopefully the judicious side of Jupiter will align with the balance loving nature of Venus to ensure generosity is given where it is truly appreciated, and that we cultivate the ability to receive the gifts of life available to us without want for more. Mercury in Virgo opposes Neptune in Pisces on August 18th, placing himself into the service of a dream. His sharp edges softened by the boundless mystical planet, Mercury may get a little fuzzy on the details but only to give way to a broad and diffuse focus that sees the whole through a highly refined sixth sense perception. As he moves into a trine with Pluto that becomes exact on August 21st, Mercury incorporates depth perception into his tool kit enabling him to probe vast amounts of data to mine that which he seeks. 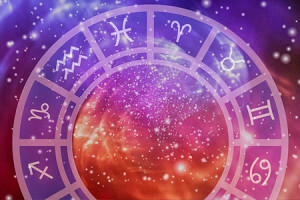 Once he entered Virgo, Mercury broke the six-week spell where only distant Pluto was in an earth sign, and initiated a shift from the steamy fire and water dominance on the astral plane. He is bringing some much needed practicality and groundedness back into the game here on terra firma. August 7th – Mars trine Neptune at 7° Scorpio/Pisces at 5:14 a.m.
August 8th – Sun conjunct Mercury (Superior Conjunction) at 16° Leo at 9:21 a.m.
August 8th – Mercury trine Uranus at 16° Leo/Aries at 1:14 p.m.
August 8th – Sun trine Uranus at 16° Leo/Aries at 5:36 p.m.
August 8th – Mercury square Saturn at 17° Leo/Scorpio at 7:50 p.m.
August 9th – Sun square Saturn at 17° Leo/Scorpio at 8:11 a.m.
August 10th – Moon opposite Sun (Full Moon) at 18° Aquarius/Leo at 11:09 a.m.
August 12th – Venus at 0° Leo at 12:24 a.m.
August 15th – Mars sextile Pluto at 11° Scorpio/Capricorn at 2:25 a.m.
August 15th – Mercury at 0° Virgo at 9:44 a.m.
August 17th – Venus conjunct Jupiter at 7° Leo at 10:21 p.m.
August 18th – Mercury opposite Neptune at 6° Virgo/Pisces at 8:42 p.m.
August 21st – Mercury trine Pluto at 11° Virgo/Capricorn at 12:19 p.m.